We Aluminum Conveyor Manufacturer are known in market providing the quality array of Aluminum Belt Conveyor in India. Our companies conveyor is finished with the fine completion and preeminent for the convenient functioning’s. We are using the best grade of aluminum materials to fabricate this aluminum conveyor and due to this the conveyors gets more durable and rust proof. 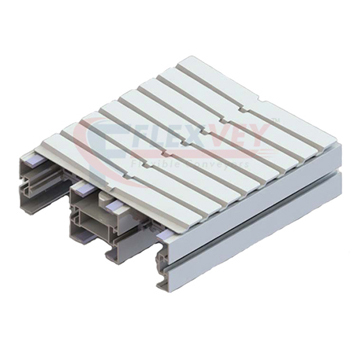 This Aluminum Conveyor System is available with us at the flexible variations in it and as well making them as per requisites of our consumers. Our aluminum conveyor belts are designed with the new innovations and it is sold at the market competitive prices as its requirements have been increased gradually.